Since SP was on call this past weekend, we did not do anything/go anywhere. We stayed home and decided to use our home time to make another delicious brunch. Originally we wanted waffles or pancakes for our weekend brunch treat, but then we remembered the Sweet Orange Buns we made last year and then we remembered that we had yet to try making Cinnamon Rolls, and the decision was made. We knew just where to look for a delicious recipe: Baking Illustrated. SP seemed really excited to use the dough hook! 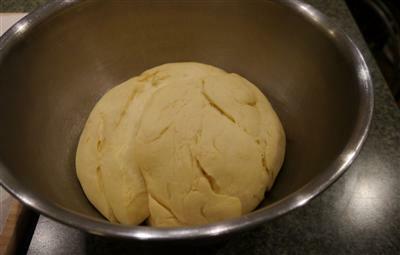 It is kind of fun to watch the giant hook mix the dough. We also used a new thermometer to check temperatures of water and of the milk/butter mixture. 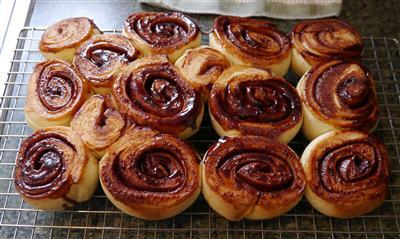 This is a cinnamon rolls with yeast recipe, so it requires time. And patience. The cinnamon rolls were not going to magically appear in front of me. 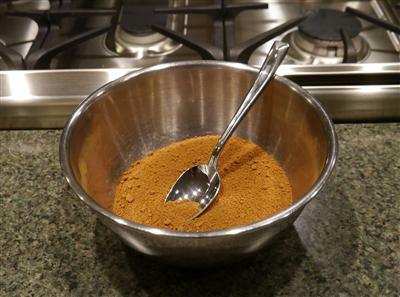 Smelling the cinnamon-brown sugar mixture made me not so patient! Since we had only mint flavored dental floss, we used our bench scraper to cut the log into slices. Yum! Ready for the second rising -- which we did overnight in the refrigerator, not in 1.5~2 hours in a warm, draft free location. 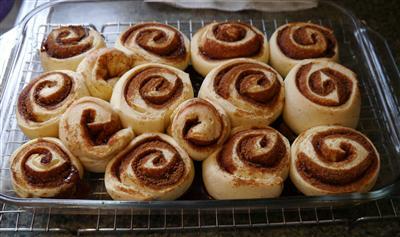 We got them out for an hour or so before baking them Sunday morning. Inverted for cooling - yummy, melty cinnamon-sugar! The final product, topped with a delicious cream cheese icing. These were definitely worth the time and effort. For me, the glaze was just right - not too cream cheesy and not too sweet, a nice counterpoint to the sweet cinnamony roll. We each ate two rolls Sunday morning and then on Monday morning, we quickly reheated a couple in the microwave and topped them with icing. 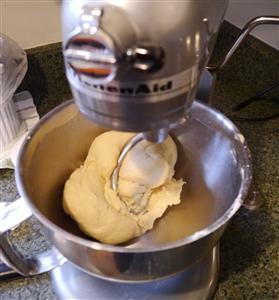 We did not ice all the rolls - we stored the rolls in plastic containers and the left them on the counter and we stored the icing in the refrigerator. We are icing them as we want them since we like to reheat the rolls and didn't want the icing to melt. Recipe from Baking Illustrated but can be found online here.